Portable dental equipment options are available from a variety of dental equipment companies. These companies range from larger multi-product businesses to smaller companies whose only product may be an item of portable dental equipment. Several manufacturers will have a variety of portable equipment options. Many companies have been selling and re-engineering their products for many years, while others may have just recently entered the portable dental marketplace. Some portable units are sold exclusively from the manufacturer, while others can be purchased either directly from the manufacturer or through discount or full-service dental suppliers. 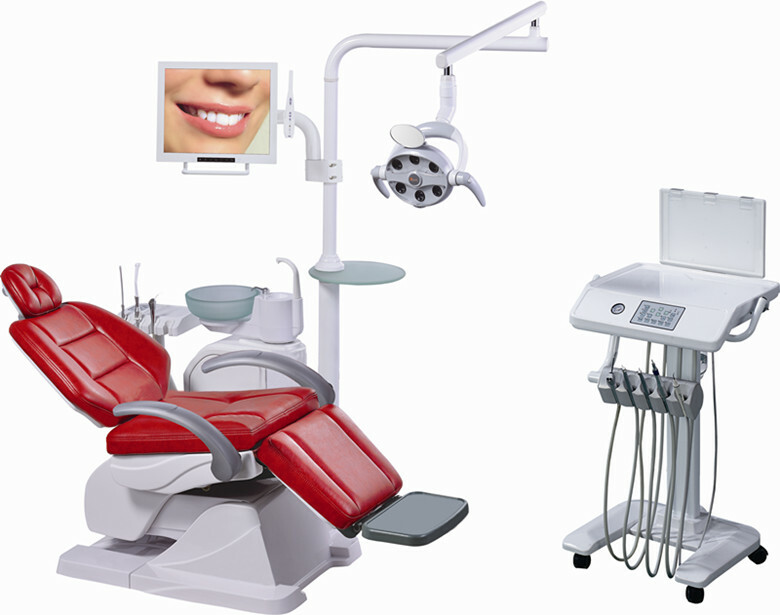 It may be helpful to establish a good business relationship by purchasing some buy dental equipment online, instruments, and supplies from a local dental supplier so that even if you purchase the unit directly from the manufacturer you may still be given priority status if your portable unit requires repairs. The portable dental unit must be able to efficiently carry the dental equipment and patients through stairs, doorways, lobbies and other places. The weight and size of the dental unit must be suitable for transporting dental equipment with ease. The portable dental unit should have a fully adjustable narrow back for the comfort of the patient. The unit should be highly durable as well. The various tools such as water and air syringes, hand pieces, rheostat and suction should be easily reachable for the dentist. The portable dental chair must be lightweight and easily folded. The x ray unit should have good stability and position. The dental unit should also be of a compatible size to fit into any room. The portable dental unit should provide 4 handed delivery of care to the patient. This implies that the dentist and the dental assistant must be able to work on the patient at the same time. The dental unit should be able to support multiple hand pieces and an ultrasonic scaler. The hand pieces of all types such as cable, air turbine and electric must be supported by the unit. The hand pieces must provide sufficient pounds per square inch while the suction measured in cubic feet per minute must also be adequate for dental procedures. 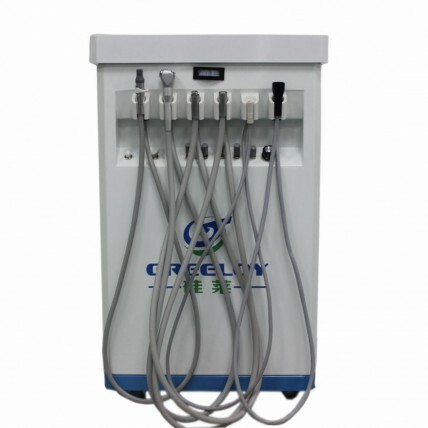 Quartz-halogen based dental light with about thousand-foot candles is suitable for portable dental units. They may also be helpful in training you how to perform minor maintenance and repairs when problems occur. It may seem easier to buy components from one manufacturer, but also there may be good reasons to "mix and match" portable equipment from different vendors to gain specific features or capabilities. And we oyodental provides a hands-free, efficient, and convenient option for purging self-contained portable dental units straight into plumbing. For example, you may wish to purchase a dental portable unit for sale from one manufacturer, but a chair more easily adjusted for height from another manufacturer. This leads to confusion. Therefore, it is important to have knowledge about a portable dental unit and know your requirements to be able to find the right unit. The functions of the handpiece and suction must not get affected by each other when being used at the same time. The handpieces should have fiber optic technology to boost visualization of the mouth.